Facial feminization surgeon, What training is required? 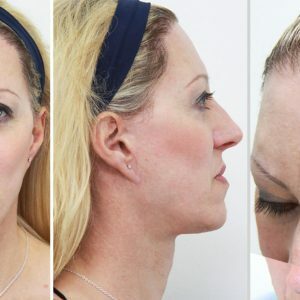 What to look for in a Facial Feminization Surgeon? FACIALTEAM is an small group of integrated specialists, World Leaders in facial feminization. FACIALTEAM surgeons have been featured as keynote speakers in multiple scientific platforms since publishing in 2014 groundbreaking research on facial feminization in the journal Plastic & Reconstructive Surgery, official publication of the American Society of Plastic Surgeons. Our comprehensive team analyzes each FFS patient meticulously, taking into account factors from multidisciplinary perspectives: craniofacial bone structure, plastic, hair, and aesthetics – all considered within the frame of modern concepts on facial gender. Varied theories on facial gender, sometimes contradictory, can be quite confusing. For this reason, FACIALTEAM and Alexandra Hamer, a facial gender analyst and expert in virtual FFS (digital simulations of surgical results), have identified the need to refine outdated and misleading assumptions regarding the “idealized” and “average” feminine face. 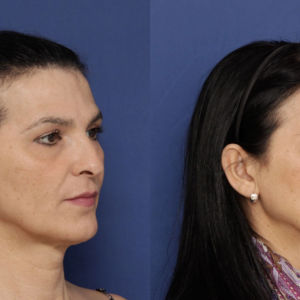 After 6 years of joint consultations and meeting thousands of patients, the increased importance of this scientific field to facial feminization surgery has lead us to create the FACIALTEAM INSTITUTE for investigation into facial gender studies. Although the surgical FFS results are of primary importance (see FFS before and after), our passion in details and sensitivity to our patients extends to every phase of the process: from the educational consultations to coordination of surgery and finally over the long-term during an extended postoperative follow-up. We aspire for maximum patient satisfaction on all levels of our services by our team of caring, understanding professionals, who are highly trained and with experience specific to the FFS sector. To this purpose, activity in international congresses for transgender healthcare (WPATH, EPATH) as well as strong connections with trans associations worldwide (Southern comfort (SCC), Keystone Conference, Sparkle, ATA etc.) is considered fundamental in maintaining open communications with the community for the future development and innovation of facial gender affirmation surgery. To read more about our charity work, see The FACIALTEAM Foundation´s TransHealth Initiative.